The Tarleton State University Plowboys are now back in good standing with Tarleton as of January. Tarleton’s 34-year-old spirit organization was put on a one-year suspension after a Nov. 15 incident that violated university policies linked to hazing. 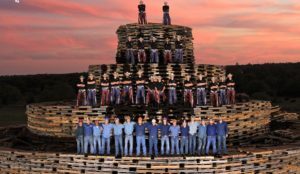 The Plowboys will continue their original traditions they were a part of prior to probation such as putting together the bonfire, wearing chaps at their appearances and starting chants at sports games. As for as any specific or extra rules the organization may have to follow, Dr. Boren said, “They have the same expectations as all the recognized student organizations as far as the university policy’s procedures. Nothing beyond what’s the standard expectations. President of the Plowboys, Martin Wright said, “We are currently working on that (getting off probation) right now. We just have a few things left and we should be good to go and at the game Thursday,” Wright said.